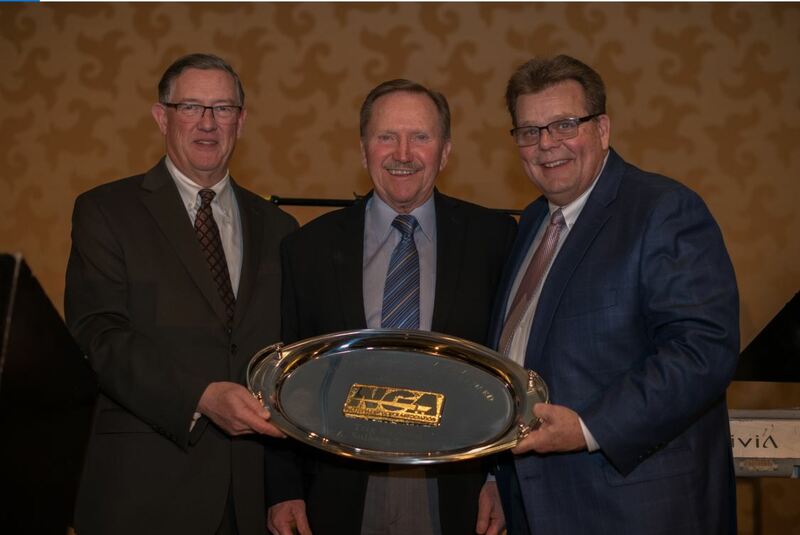 San Diego, CA– The National Grocers Association (NGA) presented the Thomas K. Zaucha Entrepreneurial Excellence Award to Trygve (Trig) Solberg of T.A. Solberg Company, Inc.
Solberg, an innovative entrepreneur began his career in the food retail industry in 1971, alongside his wife Tula, in Land O’ Lakes, Wisconsin, with a small single store. Today, Trig has grown the company to include eight supermarket locations, six shell gas stations, an Ace Hardware operation, two restaurants, three Postal Express locations, three fitness center locations, a smoked meat production facility/ice plant, a central bake operation, a trucking department, a consignment store, and a salon. The T.A. Solberg Company employs over 1,200 associates. In 2016, Trig revamped the T.A. Solberg Company to provide a more comprehensive experience to customers. This revitalization involved establishing a Senior Leadership Team that focused on several areas of operation, including: culinary development, meat operations, produce operations, deli operations, pricing and analytics, grocery/dairy/frozen operations, smokehouse operations, HR functions, marketing strategies, and more. This led to new programs that focus on Fresh, Family, and Community. Some of these programs include Fresh Cut Produce Programs, Trig’s Sunshine Fund (program that financially supports associates in need), and a Store Director Institute Training Program (training future company leaders). This has led to some of the best years in the history of Solberg Company. Trig serves as Chairman of the Advisory Board for the NGA Grocers Political Action Committee (PAC), the only PAC representing the independent supermarket industry. The PAC allows NGA member employers and employees to participate in the political process in a meaningful way. Trig is a consistent advocate for independent grocers, including hosting U.S Representative Sean Duffy (WI-7) in 2018 to share feedback on how numerous issues before Congress would impact independent grocers. Since 2009, the Thomas K. Zaucha Award, sponsored by Mondelēz International and named after NGA’s first President and CEO, has been presented annually to recognize an independent grocer that demonstrates persistence, vision, and creative entrepreneurship. This award is one of the most prestigious honors awarded to independent grocers. Left to Right: Peter Larkin (President & CEO, National Grocers Association), Trygve (Trig) Solberg (Chairman, T.A. Solberg Company, Inc. ), Rick Brindle (Vice President, Industry Development, Mondelēz International).